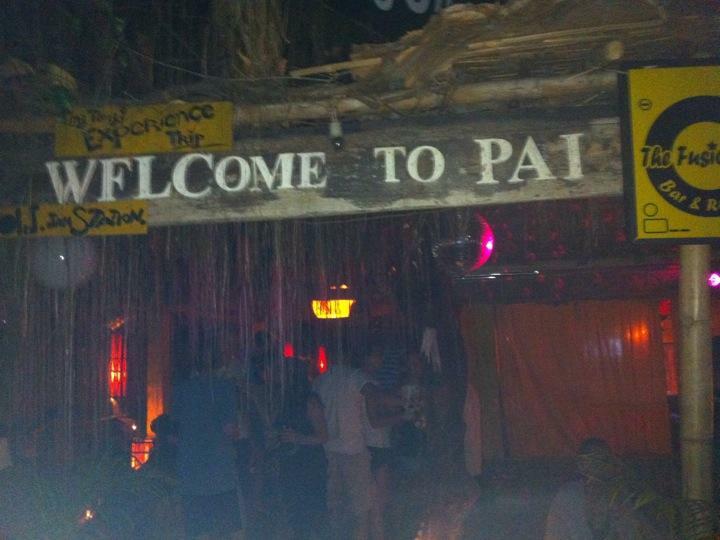 We got to Pai and the dorms were like huts really open, airy and a very different experience. Everyone was even more chilled than at Chiang Mai. Went on a bar crawl which was fun an slightly crazy. Alot of people were hangover the day after. We chilled by the pool which was green in colour had the best potato wedges ever. The next day most people hired mopeds and rode to the waterfall, I tried I couldn't balance so I stayed behind. Went for a nice lunch with a couple of the guys who were leaving that day and then done my laundry. So right now I'm laying in a hammock thinking of nothing. Perfect!